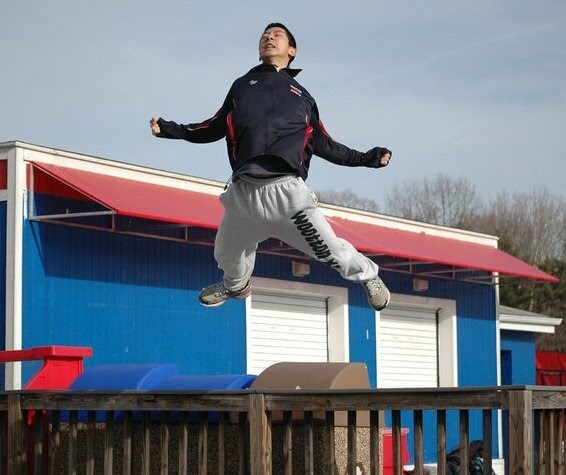 On Sunday February 27, 2010, sophomore Aaron Tian was awarded the 1st Annual Indoor Track Robert Yin SPIRIT Award, at the Wootton High School Indoor Track Banquet . As is tradition at the end of each season, the team had their banquet at That's Amore Restaurant on Shady Grove Road in Rockville, MD, followed by awards and speeches. SPIRIT Foundation Chairman Ian Akisoglu spoke to the team about the SPIRIT Scholarship. Robert Yin's family members, Sandy Giger and Alex Yin, presented the award to Aaron. Aaron received an engraved plaque, plus a couple weeks later he received a "Team Robert" t-shirt. Thanks to Wootton Coaches and Priscilla Q for organizing the event. We know Aaron is special, to stand out as a sophomore among so many great kids at WHS. It is no wonder Aaron deserves this award given how he soars!